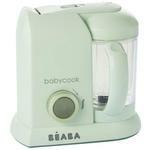 Babycook® is the baby food maker that creates both nutritious and delicious meals. With this one appliance, families can save over $1500 in groceries a year by steam cooking and blending raw meats, vegetables and/or fruits in 15 minutes or less. With every pulse of the blending feature, the texture of the food gets smoother, allowing caregivers to adjust the consistency as baby adjusts to chunkier textures. 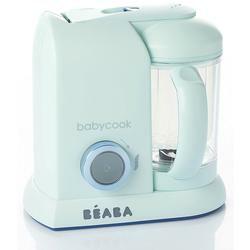 The best baby food maker, Babycook®, makes up to 4.7 cups of food at a time. 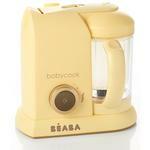 Serve the food fresh and freeze the rest for later – defrosting and reheating food in Babycook takes under 10 minutes!